I love when kids wear their dress up clothes in public like it’s just another day. The matter of fact way they own whatever identity they take on is so amazing to watch. Almost 7, and in first grade, my daughter doesn’t seek to dress up as much anymore, but she used to dress up all the time: The Hulk, a blue bird, a Bob Marley medical doctor mashup. And it didn’t matter if we were walking down the street, or going into a restaurant, library or post office. It was all the same. Playing dress up gives kids such an amazing outlet to explore their imaginations, expand their creative minds, and even connect a little more with their own feelings and emotions. 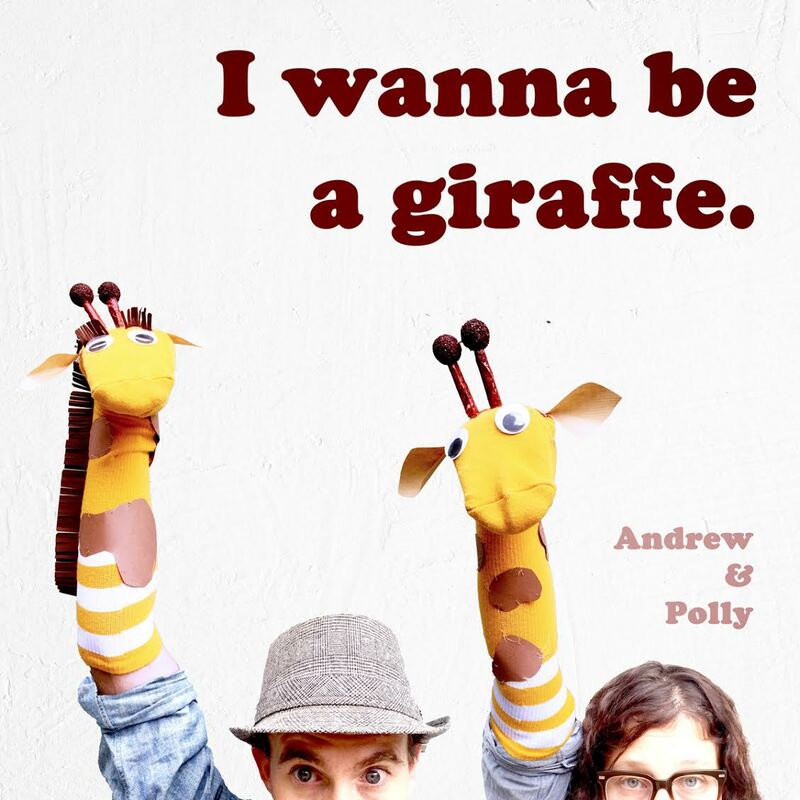 In their latest single, “I wanna be a giraffe,” Andrew & Polly capture the essence of all of this. “I wanna be a giraffe” was inspired by a beautiful photo of a giraffe camouflaged in front of a tree that Andrew & Polly found while doing research for Ear Snacks: Disguises. Check out the second photo in that link. See if you and your kids can find the giraffe. It’s pretty hard to find! So grab your best dress-up clothes and get ready to sing-along!